Last year we received a grant from the Family Learning Initiative Endowment Fund. These funds are made possible by a partnership from the Halifax Youth Foundation, the Department of Human Resources & Social Development Canada, and the Nova Scotia Department of Labour and Advanced Education. The intent is to foster learning within the family –not just for children, but also for their adults. Goals include engaging families through positive literacy interactions, enhance a parent’s ability to support their child’s learning, and to promote collaboration. The basic structure of our Tablet Time was to offer 4 sessions of personal, hands-on time with our set of 6 iPads loaded with Early Literacy apps, couched in a traditional storytime setting with a take-home literacy craft. We shared books and crafts, had a snack, and then explored an app. Each session paired a book with an app, which the child and parent explored together. Once they tried the featured app, they had time to explore the other learning apps on the iPads. We had 25 families attend the program in 5 of our library branches. (Each session was limited to 6 families.) The children that attended were between the ages of 2-7. Nearly all of the families that attended own a home computer; 15 own a tablet and 11 own a Smartphone. 16 of the families currently use apps with their children; many reported wanting to find out more about educational and fun apps and less “Angry Birds” type apps. From our “exit” surveys (14 returned) we learned that 12 of the families now feel more comfortable with using tablets with their children, and 7 of the families have downloaded some of the apps we used in the program. Several parents reported that their child’s alphabet knowledge increased, and most reported that their children really enjoyed the program. This was a pilot project for us, and we did learn some things. When we advertised the program simply as “Tablet Time”, we had fewer attendees. When we changed the name to “Milk and Cookies Tablet Time”, attendance increased. This change also coincided with an improvement in the weather, so we are not absolutely positive that the cookies made a difference! Nearly every family that attended remarked that they would like more time with the iPads, and as a result, we are holding drop-in “APPy Hour” programs in some of our branches this summer. We will continue to look for quality apps to share with parents and children, and we keep lists of apps that we install on our iPads on our Pinterest boards—for kids, and for older kids. Check your local library’s calendar of events and see if there’s an APPy Hour close to you! Nova Scotia’s Annapolis Valley is bustling with farmers' markets again this summer. These markets have become community meeting places where you can support local producers, artisans and musicians. You will find soap, flowers, vegetables, meats, baked goods, preserves, jewelry, pottery, handmade crafts, photography, maple syrup, live music, and much more at your local market. Get to know your local farmers and producers and support them. Local food tastes better and is better for you. Buying local builds community, preserves open spaces, benefits the environment, supports local families, and is an investment in the future. It is incredible to immerse yourself in the farmers' market culture, and to learn about the valuable talent and expertise we have in the Annapolis Valley. For more information on Nova Scotia’s Farmers' Markets, visit THIS website. 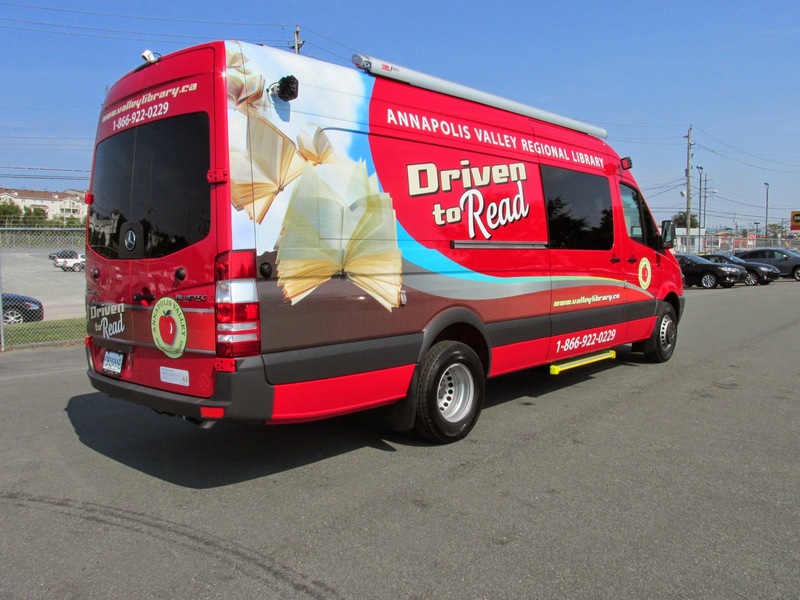 The Annapolis Valley Regional Library Bookmobile will be at the Annapolis Royal Farmers' and Traders Market on Saturday July 12, 2014. The Bookmobile will also be at the Windsor Farmers' Market on Saturday, July 26, Wolfville Farmers' Market on Saturday, August 9, and the North Mountain United Tapestry in Harbourville on Saturday, August 23. We are looking forward to meeting you! Brain Damage, the destruction or degeneration of brain cells. Traumatic brain injury damage that occurs when an outside force traumatically injures the brain. Stroke, a vascular event causing damage in the brain. Acquired brain injury, damage to the brain that occurs after birth, regardless of whether it is traumatic or non-traumatic, or whether due to an outside or internal cause. Whatever the cause, the symptoms and treatments are varied, recovery time differs widely and it appears that no two injuries are the same. The brain is an amazing organ and what it can do and how well it can recover from an injury is inspiring. Whether we have a family member injured in sports or perhaps injured in an accident or suffering from a stroke it is important to understand our role in their recovery. Brain Injury Awareness Month serves to bring this subject to the forefront. Educating the public on safety and promoting support of research are just some of the tasks that are undertaken during June. Speaker events are held across the country so survivors can tell their stories, connect with other survivors, educate the public and help caregivers understand what kind of support and was needed or where it was lacking. The mental, social and economic impacts are rarely discussed publicly. Many families deal with this issue alone. If you are interested in learning more the library has books, such as The Brain Injury Survival Kit and The Brain Injury Guide for Youth. Visit the Brain Injury Association website for more on events taking place. C@P Youth Interns coming to a branch near you! There will be C@P Youth Interns in our branches again this summer, although their start date is yet to be confirmed. By summer, they will be ready to help you with all of your basic computer needs. You can bring in your own laptop, tablet, eReader, or smartphone or use our computers for some assistance during a one hour one-on-one session. 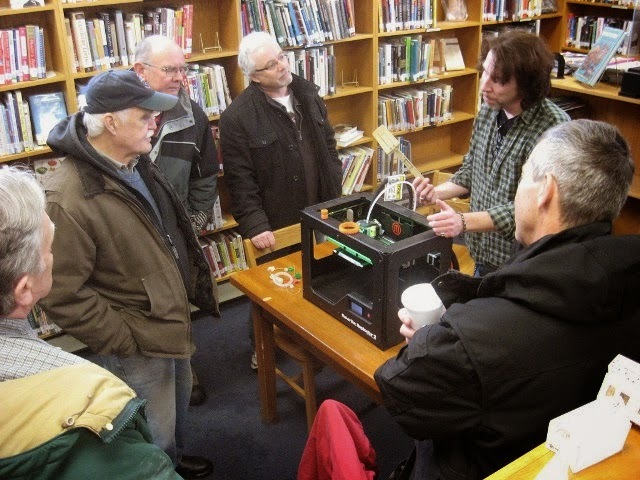 Learn to download eBooks and audiobooks, get an email account, learn to use social media tools like Pinterest and Twitter, see a 3D printer demonstration, or bring your tablet to our Tablets for Beginners session. Looking to purchase a tablet, but aren’t sure which one you might like? Join one of our Test Drive a Tablet time slots and try out one of our eight different varieties for some hands-on experience. For the younger crowd, we will be offering an assortment of workshops that are sure to grab your attention. Go on a Digital Photo Scavenger Hunt, try Geocaching for Kids, Bring Books to Life: create a book trailer, make a LEGO Stop Motion Flick, explore in our Makerlab, be creative with Game Maker, while learning to make your own video game, and build with the LEGO Mindstorm Robotics kits. These sessions will require pre-registration so watch our Calendar of Events for your chance to participate. For the adult one-on-one technology tutorial sessions you can get your name on our call list now. We’ll call you when we are ready to begin scheduling these sessions. Take advantage of this great service before the end of the summer, because after that it will be too late as these great youth will have gone back to school. Oh, I forgot to mention that all of this is available for FREE! This year we are changing our Summer Reading Club. 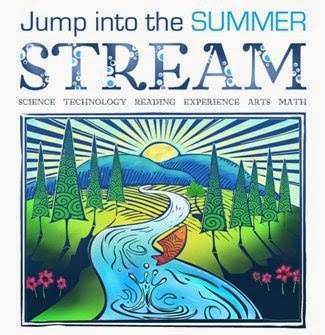 We are inviting you & your child to join the Summer STREAM : Science, Technology, Reading, Experience, Arts, and Math. The Summer STREAM can help your child enjoy a summer of learning while earning fun incentives. The activities can be done right here in the valley, or on vacation. Our library branches will be offering free programs around this theme, and we’ve got a website full of ideas for science, technology, art, and math for you to explore. We’ve added more experiential learning into this year’s program so that it will appeal to a wider audience. We hope to show that summer reading and learning can be fun, and we’ve got lots of special programs planned, including Mad Science, Little Ray’s Reptile Zoo, and musicians Jamie Junger and Andy & Ariana. We’ve added two Library Days at Oaklawn Farm Zoo – anyone 18 and under with an AVRL library card gets in free on July 15 and August 12. We’ll be partnering once again with Upper Clements Parks to offer a free Fast Pass to those that complete the program, and the library will be at the park on August 16 & 17 for Word in the Park. Teens have the chance to win great prizes, including a $100 VISA card. We’ll be giving away books and kittens* this summer, so the library really is the place to be. Last year our GoBots were so popular that we are trying something similar. This year, you can print your own FINNY the Fish and send us pictures of Finny’s travels. Where in the world will Finny go? Sign ups for the Summer STREAM begin on June 24, and you have until August 12 to join the program. The program ends on August 22. Find something fun to do this summer, and Jump into the Summer STREAM!